This beloved romantic fantasy from award-winning, New York Times bestselling author Shannon Hale celebrates its 10th anniversary with a gorgeous new cover. Not long after their confinement begins, Saren's suitors arrive--one welcome, the other less so-and she orders Dashti to speak to them. Impersonating Lady Saren is a crime punishable by death, but Dashti will have to play the role many times if she is to save them both from the tower and the dangers outside. As she takes control of their desperate situation, Dashti begins to understand her own astonishing talents and believe that even a low-born maid can find true love. 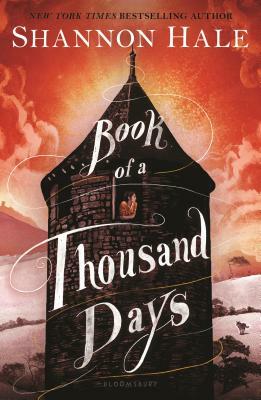 Master storyteller Shannon Hale's beloved Book of a Thousand Days is equal parts fantastical and romantic, with an unforgettable protagonist to root for at its center.